North was the second actress to lend her voice to Daphne (second from right); Stefanianna Christopherson was the first. 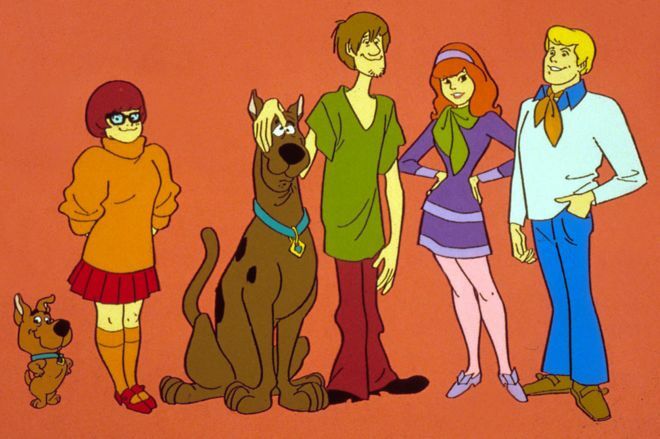 Heather North, the voice of Scooby-Doo’s Daphne, died November 30 at the age of 71. She first did the voice of Daphne for the 1970 season of Scooby Doo, Where Are You?, then The New Scooby Doo Movies (1972-1973), Dynomutt Dog Wonder (1976), The Scooby Doo/Dynomutt Hour (1976-1978), Scooby Doo Goes Hollywood (1979), Scooby Doo and Scrappy Doo (1979-1980), and six more iterations of Scooby Doo cartoons in the 1980s. And she voiced Daphne again in three Scooby movies/videos made in 2002-2003. Prior to joining the Scooby gang, North had a busy conventional acting career , appearing on such TV shows as Mr. Novak, Gidget, The Fugitive, The Monkees, My Three Sons and Adam-12; the soap opera Days of Our Lives; in two films, Git! (1965) and I Love My Wife (1970); and on Broadway in the short-lived 1967 comedy The Girl in the Freudian Slip. 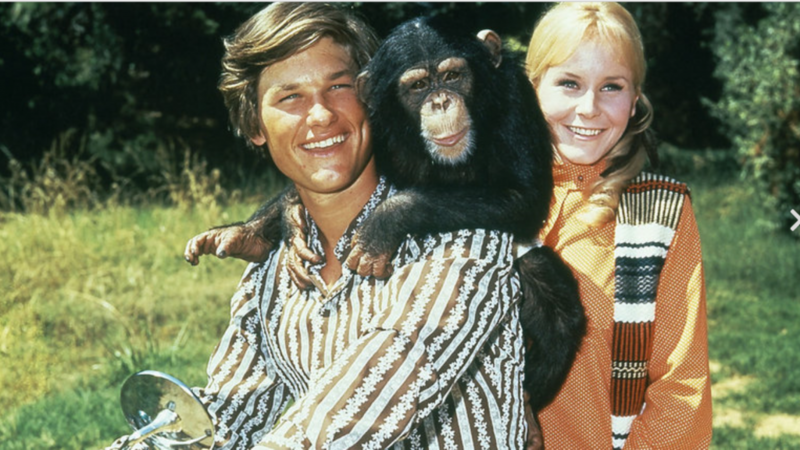 North also starred as Kurt Russell’s love interest in Disney’s The Barefoot Executive (1971), about a chimpanzee who can predict which TV shows will be a success on the air. Her husband, producer/director H. Wesley Kenney predeceased her in 2015. She is survived by a son and two stepchildren; another stepdaughter died just a week ago. Heather North in The Barefoot Executive.